North Korea asked the South to limit the exposure to the press a visiting cultural delegation would face, Seoul’s Ministry of Unification (MOU) said on Monday. “It can be understood in the context that North Korea wants to check facilities quietly and calmly, rather than the [South Korean] government making the decision,” unification ministry spokesperson Baik Tae-hyun told assembled media. An MOU news briefing also saw Seoul say that the government, on Pyongyang’s request, had edited its footage of the North Korean preliminary inspection team’s visit on Sunday before providing it to media outlets, though it later retracted the comments. 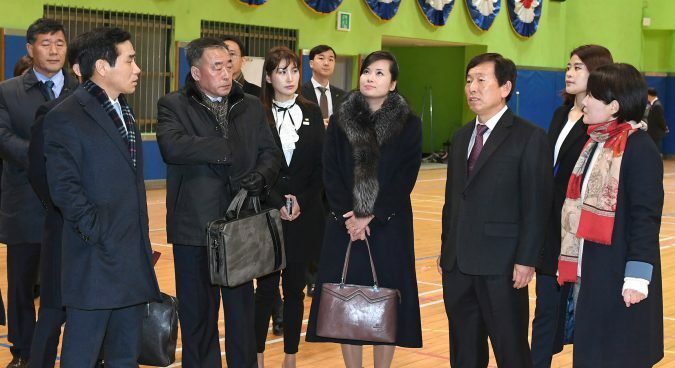 A seven-member North Korean delegation led by Hyon Song Wol – head of the DPRK’s Samjiyon Orchestra – visited Gangneung and Seoul in a two-day visit to inspect facilities for a by a cultural troupe during the 2018 Winter Olympics. Reporters on Monday asked the MOU to made an “official apology” over the alleged interference of the National Intelligence Service (NIS) in news coverage activities. During the briefing, reporters claimed that officials from the NIS had blocked pool reporters from accompanying the DPRK delegation. The reporters also said the NIS officials “stood in the gap” to block reporters, despite there having been “no consultation” with the government on whether the media was allowed to ask Hyon questions. Footage released by the ministry taken on Sunday morning shows Hyon talking and smiling, though in coverage from later in the day this is conspicuously absent. 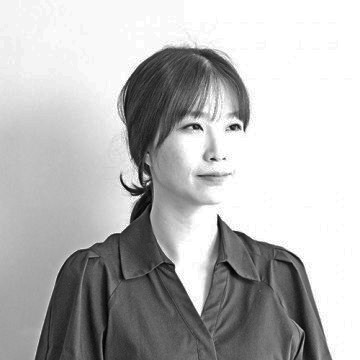 When asked about the discrepancy by NK News, the MOU retracted Baik’s comments. “The North conveyed its opinion of letting them concentrate on checking practical issues to our side several times,” the ministry said in a text message. When asked whether the North had objected to the news coverage activities of the South Korean media outlets, Baik said the North didn’t “specify” its request. An unnamed senior official at the unification ministry on Saturday, however, said at a closed-door briefing with press that the North had “strongly expressed its dissatisfaction” over South Korean media coverage of ongoing talks between Pyongyang and Seoul. Negative reports may have been the reason for the surprise postponement of the North Korean delegation’s visit planned for Saturday, the official added, with Seoul still awaiting an explanation for the sudden cancellation. North Korean state media outlets and officials have in recent weeks strongly criticized South Korean media, including the Chosun Ilbo and JoongAng Ilbo newspapers, for their coverage of inter-Korean talks. In reports on Sunday, both the Korean Central News Agency (KCNA) and the daily newspaper the Rodong Sinmun accused the outlets of having “slandered” the North’s involvement in the PyeongChang Winter Olympics. The North Korean journalists union last week called for the South Korean government to “hold tight control” of local media and warned that Seoul would see “the wedding ceremony turning into a mourning ceremony” if they failed to control the media coverage of recent inter-Korean talks. Inter-Korean talks earlier in the month, too, saw the North Koreans clash with the South Korean press. Ri Son Gwon, chairman of the Committee for the Peaceful Reunification of the Country (CPRC), warned media that the talks would go well “unless the press misled” public opinion and accused South Korean media of making “absurd” reports. Subscribe to read the remaining 722 words of this article.